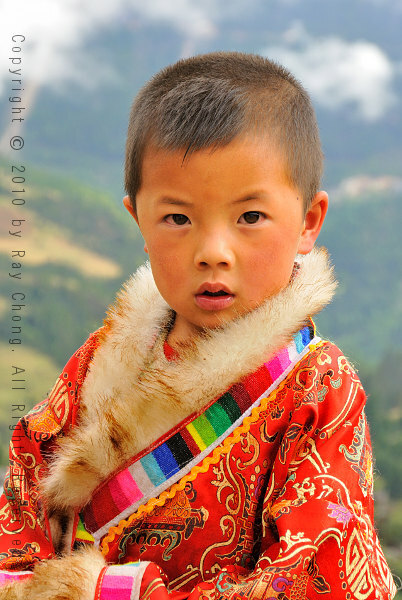 While on the road to Shangri-la (formerly called Zhongdian), we came across this young Yi boy, dressed in a traditional embroidered Tibetan coat with fur trim. 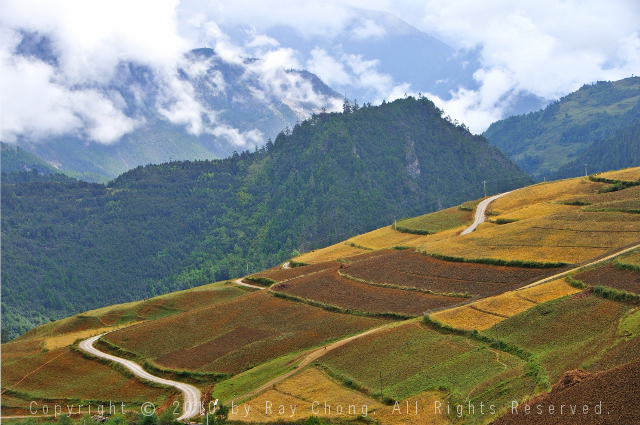 Mist-shrouded peaks, deep, fertile valleys and rich, earthy hillsides. Could this be the place that James Hilton found his Shangri-La?